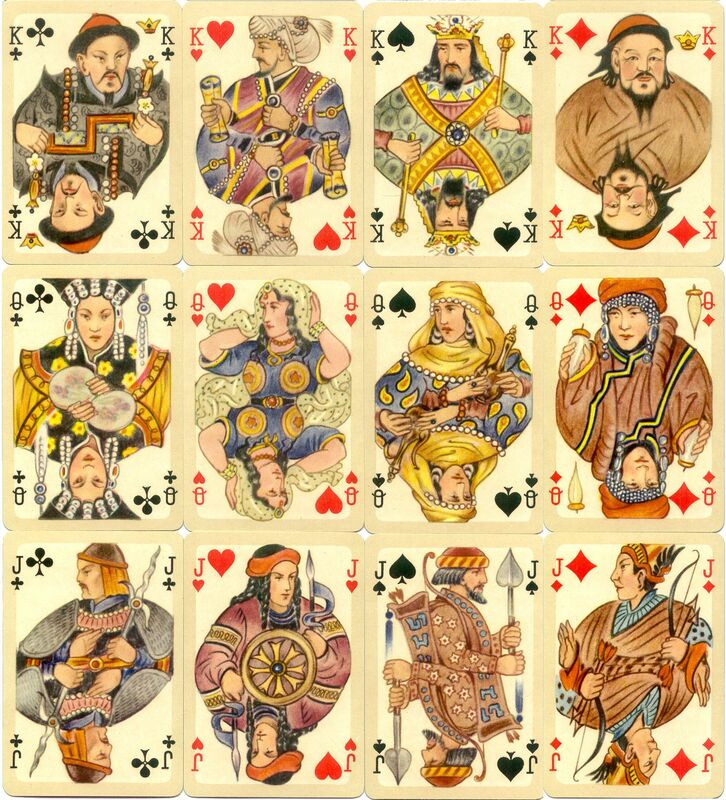 Above: the 12 court cards from Bernhard Altmann's "Cashmere Playing Cards" printed by Ferd. Piatnik & Sons, Vienna, c.1950s. 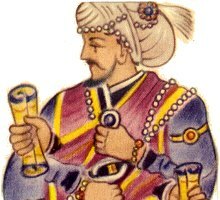 The court cards are warriors, rulers and women who were particularly interested in the Cashmere trade. Ace to 10 (not shown) are vignettes that portray attributes of each group of people. Right: The Artwork on the back of the cards in Ancient Mongol script is the Seal of Khans: "when the command of the allpowerful Khan of the Great Mongol People, which is as the might of Eternal Heaven, is handed down to subject peoples, they must tremble and obey." One back is in red and one in black. 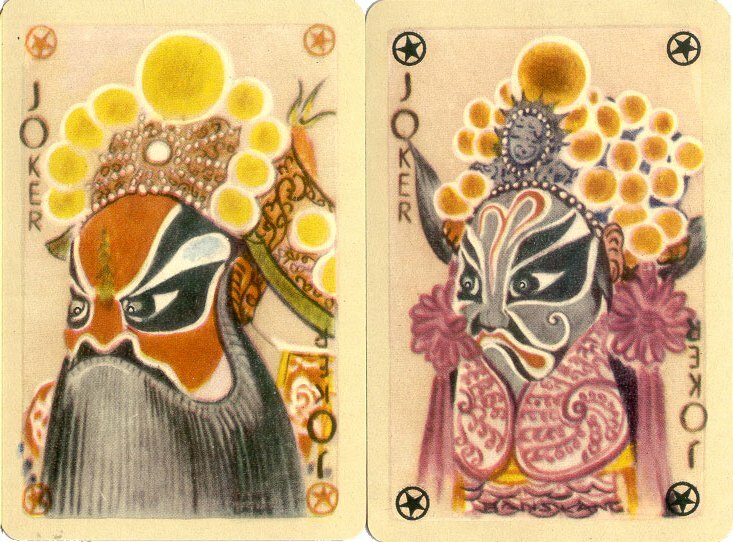 The Jokers have Chinese Theatrical Masks. The back of the box is marked 'Made in Austria by Ferd. Piatnik & Sons Vienna'. Images courtesy Barney Townshend.